With plans of becoming a Rs.500 crore brand in the next five years, Pondicherry-based Hidesign has launched a capsule collection of handcrafted leather jackets a�� just in time for winter. With five different styles inspired by personalities like Marlon Brandon, James Dean, Elvis Presley, Madonna and Cher, most of the jackets feature turtlenecks (currently trending in the international markets). Dipen Desai, brand manager, says, a�?The collection is perfect for Indian weather as they are lightweight leather jackets. This works only for the not-so-cold climate, which is also the reason why we have launched it here and not overseas.a�? 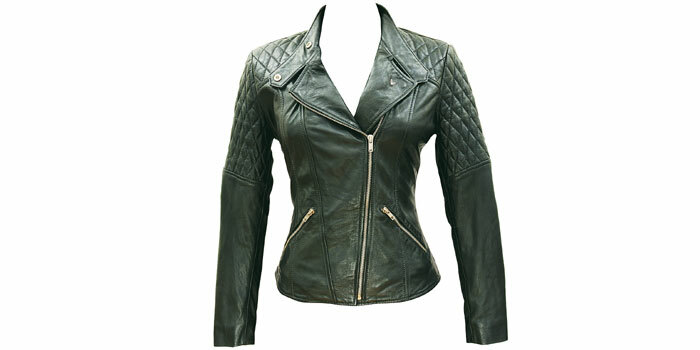 The jackets echo the laidback style of bikers. Made from vegetable-tanned lamb leather, which has the ability to stretch and breathe, the jackets, in black and brown, feature simple lines and minimal detailing with quilting on the shoulder and buckles on the sides. About the USP of this collection, Desai says, a�?We have used only washed leather, hand polished with natural waxes, with no other coating or layer on top of them. Hence the jackets feel fantastic and are extremely soft to touch.a�? They are available in medium and large sizes for women and medium, large and extra large sizes for men. Now available across all Hidesign stores in India, the brand will also launch a leather footwear collection by the end of this year.